It’s a Small World has always been my favorite ride at Disneyland. Not because of the obnoxious music, but because of the message it gave young children: People are connected around the world. Sure, we speak different languages and have different cultures, but we have the same emotions, breathe the same air and well duh, are all humans. We’re all not that different. Then I came to City Year last year and learned about a Zulu proverb called Ubuntu: I am because you are / my humanity is tied to your humanity. In other words, we’re all connected in some way, somehow. 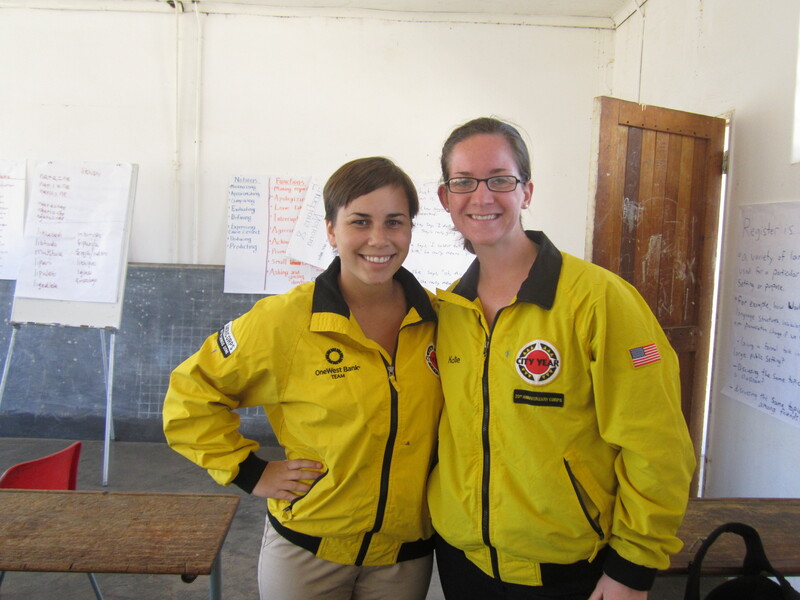 As known, I joined the Peace Corps quickly after my City Year and found a fellow City Year Los Angeles alum — Katie (corps year 2008-2009) — among my group of Volunteers who served in the same South Los Angeles neighborhood I served in. When I arrived at the Johannesburg airport, boarded the bus and got my Pre-Service Training (PST) schedule, I called Katie’s name across the bus and said, “Katie! We have a training about Ubuntu! Ohhh City Year…” We both shook our heads and laughed. 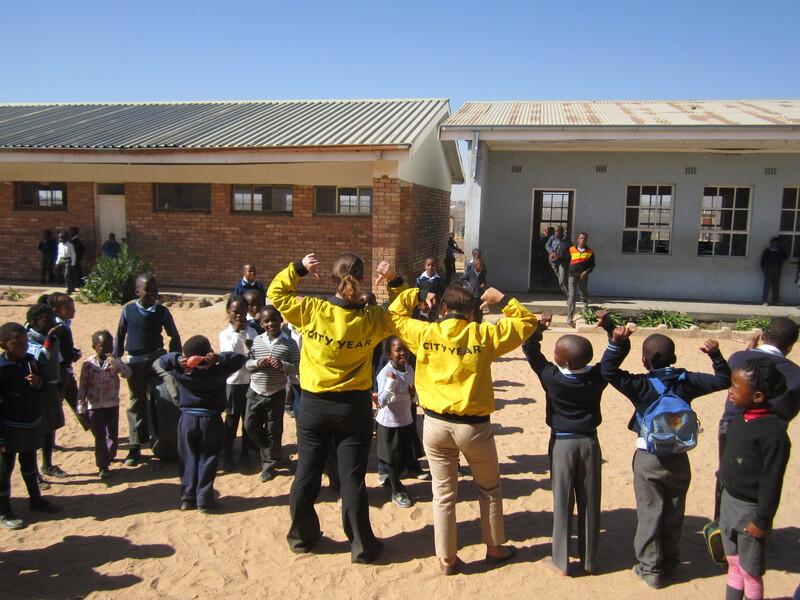 I didn’t realize the similarities of Ubuntu between my City Year and Peace Corps service until now, but the concept of Ubuntu originated in South Africa. Katie and I are ironically learning Zulu in the same language group with only one other American. Before Katie, myself and the rest of my Peace Corps Volunteer group were about to listen to a presentation on Ubuntu in South African culture from our Zulu language trainers, Katie and I were sharing City Year pictures and memories. I showed her some pictures from the end of the year. We had already gone through lists of student names to see if I had tutored any of her former elementary students, but today we finally saw how our paths crossed after she saw a picture of one infamous Markham student my team adored. Let me stress again that this is right before the Ubuntu session is about to start (for those non-City Year people, this is City Year’s favorite word). One of our Markham kids, Sarah*, was one of Katie’s elementary school team’s former students. At the end of a City Year, whether or not some of these students are in a team member’s actual class, there are always a group of kids that every City Year knows and has helped in some way. Sarah was one of those kids for my team AND Katie’s team. Bursting out in laughter as we flipped through the pictures I had of her, we started to share Sarah stories: Funny things she had said (she has no sensor and doesn’t care what people think, which makes her all the more fun to be around). I was so happy about this discovery that my eyes were tearing up — Katie and I can come from two completely different places in the US (Kentucky and California) and still somehow impacted a student’s life (or in my case, know the people who really did — my teammates Angie, Melanie and Becky — because I didn’t work much with her). This is clear proof that we are all connected through humanity and Ubuntu isn’t just some inspirational saying — it’s actually true. I’ve written plenty of times throughout my first service year that changing the world isn’t as easy as it sounds and one might not always see results. I joined the Peace Corps expecting this, but can finally say that in rare circumstances change can be seen. Maybe Sarah still struggles in school a lot, but she was one of the first students who befriended my team at Markham, which I know had something to do with working with Katie’s team when she was a third grader. Now as a sixth grader, she’s confident, out-spoken, humorous and brave. I can’t completely credit City Year with all this, but the organization must have had some role in shaping who she is today if she decided to look up to the Markham team this year. In South Africa, Ubuntu is practiced in all households. Batho pele, which means people first, stresses that one must take care of others — including guests and family members — before taking care of oneself when referring to eating meals or anything else. Food must be prepared in large portions in case guests show up to a family’s home. Family members must feed guests — regardless of who they are — before they eat. If one needs food or ingredients, one visits the neighbor’s house to get it. Food is for everyone and is shared. There is no such thing as individual food and it is disrespectful to deny someone food. Likewise, people come before work. In America, we care so much about our jobs that they often comes before relationships. Here in South Africa, it is not uncommon for people to miss work (which is one major reason why teachers are absent a lot at the schools we’ll be serving at) because their culture emphasizes that they should go to a community gathering — like a wedding or funeral — instead of work. Now, the South African government is trying to enforce Ubuntu throughout the country — blacks, whites, coloureds — especially after Apartheid was dismantled. I wouldn’t call Katie and I crossing paths a coincidence, but fate. I think things are supposed to happen for a reason and today happened to show me that people do impact each other and can make a difference in each other’s lives. In City Year, when one person’s thoughtful actions reach another person, it’s a called “ripple” of hope, which originiated from a speech Robert F. Kennedy gave in none other but South Africa — Katie and I together are the ultimate ripple! Umuntu ngumuntu ngabantu — a person is a person because of people. Any interaction that my City Year team had or my new PCV team will have with students will somehow direct and develop who the student becomes as a person today and in the future. And this is exactly why all of those I have met last year and this year chose to do the work we will do or have completed. Hi- I found your blog searching “year of service” late tonight… Thinking about how a manditory year of service could help our country. I don’t think that is necessarily the solution, but I was thinking about it. Anyways, I really am enjoying your writing, reading about your time in LA and now in the peace corp.
Now at home with my kids… Contemplating my next step.